Tentworld: Lots of things to do at Wivenhoe Dam, SE Qld. Lots of things to do at Wivenhoe Dam, SE Qld. I spent a few days of the holidays in the beautiful Brisbane Valley and took the opportunity to revisit Wivenhoe Dam. They call it Lake Wivenhoe these days. 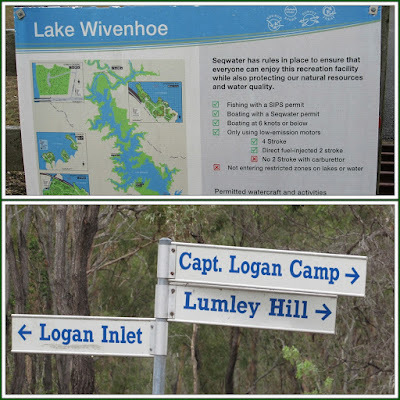 I’m not sure what the difference is between a lake and a dam but it has always been Wivenhoe Dam since I was a girl. Please forgive me if I continue to refer to it as such. 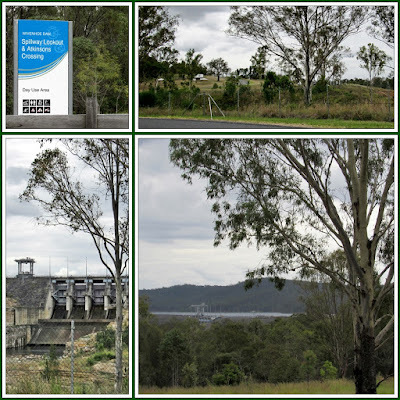 Wivenhoe Dam is located approximately 45 minute’s drive north-west of Brisbane. Not only does it have great recreational facilities, water activities and fabulous camping; it’s a critical part of the South East Queensland’s bulk drinking water supply. It is definitely worth a day trip at a minimum. 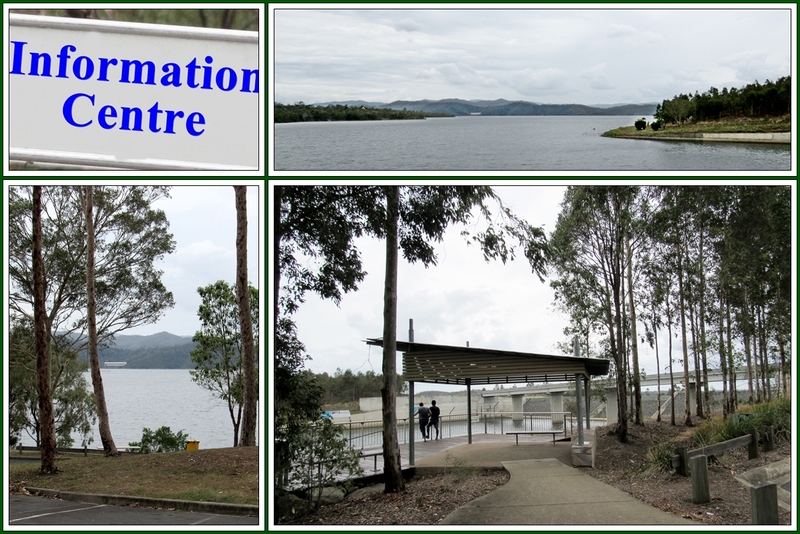 If you get a chance, pop into the information centre and find out all about the dam and its construction. I highly recommend you make some time to visit the viewing platform and see the spillway from that angle and then take a quick drive to the other side where you’ll find the Spillway Common. This will give you a totally different perspective on it. There are several fabulous day use areas. They are situated at Hamon Cove, Logan Inlet, O’Sheas Crossing and the Spillway Common. 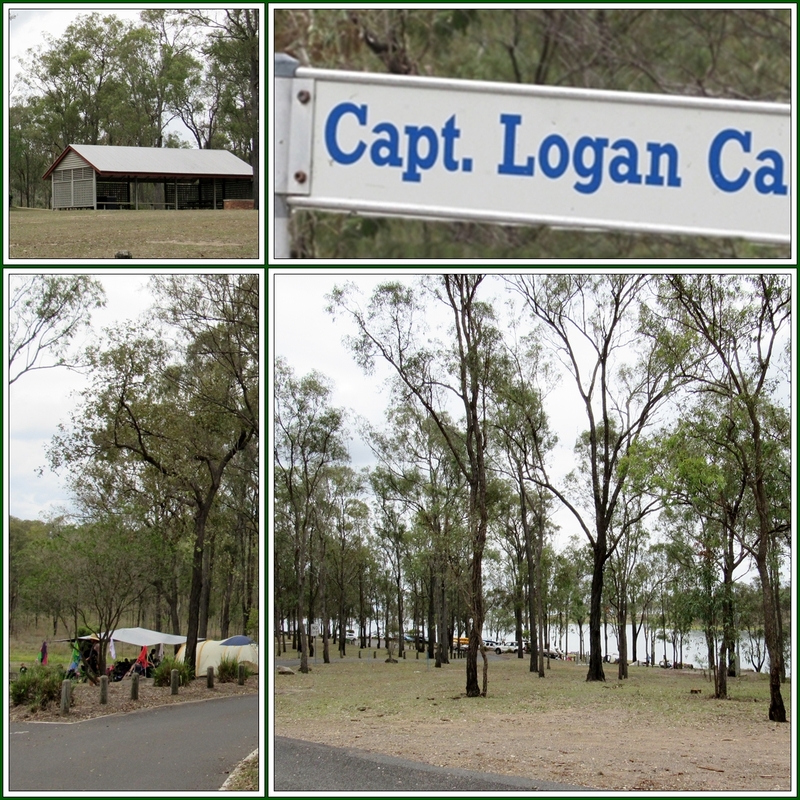 All day use areas have toilets, picnic tables, shelters and free BBQ’s. 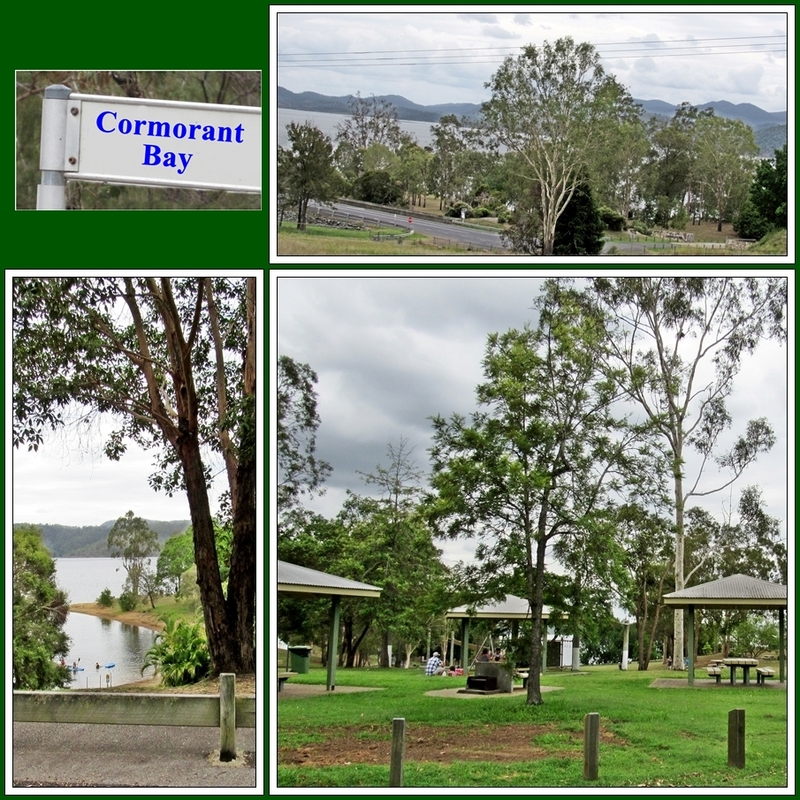 Logan Inlet and Cormorant Bay have playgrounds. All areas are open 7 days a week from 6am – 6pm. Truly perfect for a Sunday picnic and cooling swim. Also a great spot for a bit of fishing or put in some red claw pots. Have a sail, kayak, canoe, paddle board or swim. 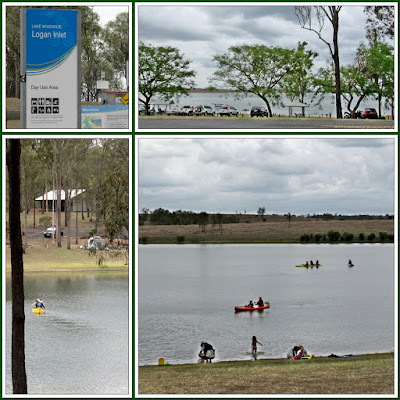 You will need a boat permit if you want to launch a registered/trailered boat and a fishing permit if you want to drop a line into Wivenhoe Dam. There are two boat ramps. One at Hamon Cove and one at Logan Inlet, as well as a couple of kayak launch points at O’Sheas Crossing and Atkinson’s Crossing. Unfortunately, water skiing, jet skiing, wake-boarding and tubing are not permitted but you can enjoy these activities nearby at Lake Atkinson and Lake Somerset which also have fantastic day use areas i.e. toilets, picnic tables, shelters, free BBQ’s. All vessels are not to exceed 6 knots. If you wish to camp for a couple of days, there are two campgrounds to choose from. They are both privately operated so you need to contact them for bookings, not SEQ Water. Captain Logan Camp and Lumley Hill Campground are both suitable for caravan, camper trailer or tent but when booking ask manager for recommendation on site to suit your setup. Some sites are steep and vary in usable camping area; depending on the fall of the land. Lumley Hill is the only one that has a couple of powered and slabbed sites. If you are tent camping you will be delighted by the ease of access to tap water. Pretty much a tap between every two campsites. You can have a campfire but they must be lit in the wood BBQ areas that are provided. Fines do apply if you light a randomly placed campfire. Both campgrounds have showers but they are now coin operated. $1 per 3 minutes. Cost $25 (peak) & $20 (low) p/night for 1-2 persons for unpowered tent site. It is an extra $8 p/additional person. Under 5’s are free. These are busy campgrounds, especially in peak season. I would strongly recommend booking, not just turning up. 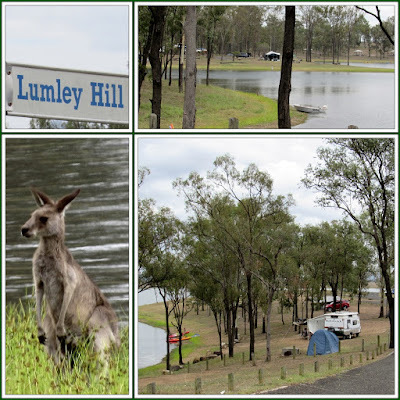 The most special thing about camping at Wivenhoe Dam is the beautiful views of the dam from each and every campsite. There is heaps of bird life and kangaroos to watch. Sunset and sunrise are peak hour for wildlife as they all head down for a drink. You can swim and kayak safely without worrying about ski boats and jet skis. I think this is what makes these campgrounds super family friendly spots. Oh… and trees… lots and lots of trees. Sad but necessary, domestic pets and other animals are not permitted into any of the catchment areas, lake or recreation areas at Wivenhoe Dam.